It is getting to the point where, if I see another reference to concluding a tariff-free agreement with the EU, as the primary objective of our Brexit negotiations, slaughter will be done. Mrs EU Referendum has been instructed to obtain wholesale quantities of M18 Claymores, although she fears they are not currently in stock at the local Asda store and Amazon is fresh out. The point, of course, is that tariffs are only a tiny part of the elements addressed in a modern trade agreement, where non-tariff barriers (NTBs) are the greatest impediment to trade. At a rough estimate, the cumulative cost of NTBs, as a global average, is equivalent to a 20 percent tariff, as against the EU average for tariffs on goods coming out at around 3.5 percent. Thus, those who prattle endlessly about tariffs are completely missing the point, their noise constituting a monumental exercise in time-wasting that we can do without. Claymores for the progenitors would be a kindness to humanity. Mrs May herself has been speaking of a comprehensive free trade agreement with the EU, of which there are few examples – the first of the new generation being the South Korea-EU agreement. This 1,432-page document is probably a close to the UK deal as we are likely to get, establishing "a free trade area on goods, services, establishment and associated rules". The objectives of this Agreement are: to liberalise and facilitate trade in goods, services and investment; to promote competition in their economies; to further liberalise the government procurement markets; adequately and effectively to protect intellectual property rights; and to contribute, by removing barriers to trade and by developing an environment conducive to increased investment flows, to the harmonious development and expansion of world trade. Recognising that sustainable development is an overarching objective, the Parties also commit to the development of international trade in such a way as to contribute to the objective of sustainable development and "strive to ensure that this objective is integrated and reflected at every level of the Parties' trade relationship". Additionally, the Parties agree to promote foreign direct investment without lowering or reducing environmental, labour or occupational health and safety standards in the application and enforcement of environmental and labour laws of the Parties. While the zombies might be cringing at the idea of committing to sustainable development as an overarching objective, this is exactly the sort of thing that the UK delegation might be presented with as a basis for an agreement, part of a package which cannot be split. But, although there is a "package" element to a free trade agreement, the other great myth is that the agreement can be procured in the same way that one might buy groceries from a shop, then to be placed on the shelves at home, ready to be dusted down and used when necessary. What we see from this long report on the Korea agreement (374 pages) is that a free trade agreement is a dynamic entity, representing a strong political commitment to mutual cooperation over a wide range of issues. As the report says, from the political point of view, Korea can be considered as a key partner for important issues ranging from security (countering the proliferation of weapons of mass destruction; combating illicit trade in small arms and light weapons; combating terrorism) to economic issues (trade and investment; economic policy dialogue; business cooperation), environmental issues (climate change and chemical policy) and cooperation in regional and international organizations. Furthermore, it cannot be said that the agreement emerged out of nowhere, with Commission officials deciding one day to jump on an aeroplane to Korea with a trade deal in the briefcases. 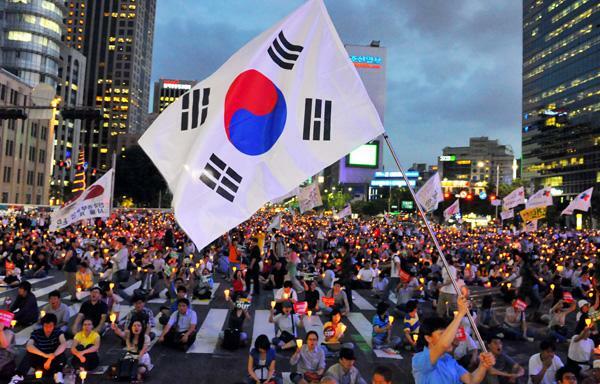 Relations between the EU and South Korea have been developing since 1960s. Diplomatic relations were established in July 1963 and the permanent mission of Korea to the EEC was opened in November 1965. There followed a Joint Declaration on Political Dialogue in October 1996 under which a formal system for regular economic and political cooperation was established. Then came two bilateral agreements: the Agreement on Cooperation and Mutual Administrative Assistance in Customs Matters, which entered into force in 1997, and the Framework Agreement on Trade and Co-operation, which entered into force on 1 April 2001. In April 2007, FTA negotiations with Korea were started. This led to a new political framework agreement signed in May 2010 and, after eight rounds of formal negotiations, on 6 October 2010 the FTA was signed. It provisionally entered into force on 1 July 2011 and was ratified in October 2015. As of 1 July 2016, import duties were eliminated on all goods except a limited number of agricultural products. Interestingly, the formal FTA negotiations had taken three-and-a-half years, 18 months more than the two-year Article 50 negotiations. Yet the FTA was not an isolated event, started from scratch. It stemmed the 1996 deal which was added to in 2001, the three deals forming a continuum. What is particularly important here is that the agreements were reached in the context of "strong mutual governmental dedication", although not without controversy. And while negotiations are over, we see a network of routine contacts, while the Parties meet periodically in high-level summits. Additionally, a Korea-EU Troika foreign ministers' meeting has been held annually in the margins of the UN General Assembly and ASEAN regional forum since 1990. This is such a contrast to the confrontational atmosphere which is characterising relations between the EU and the UK that one wonders how a similar agreement can be replicated, and then maintained, without the good will that held over the EU-Korea talks. For negotiations to be successful, there must be wholehearted cooperation, not confrontation. And there's not a lot of the former in Brexit land at the moment.